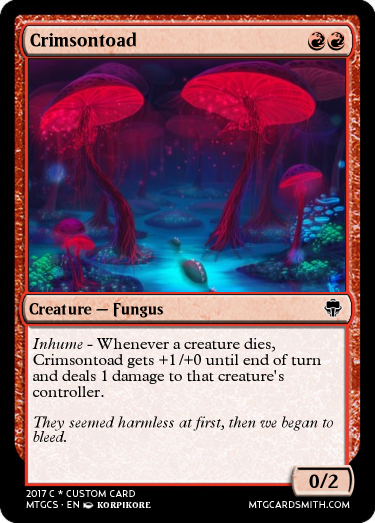 Welcome back to the wonderful plane of underealm, the plane that is comletely under ground! 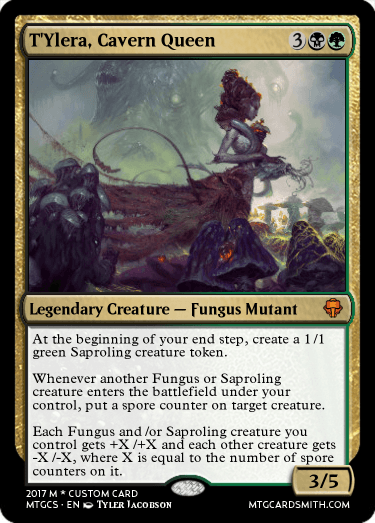 Last time we took a look at all the crystal creatures that inhabited the plane, but they also have a counter part, the fungi. 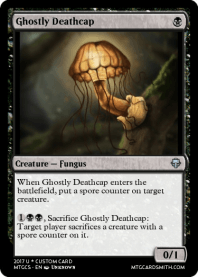 These fungi feast on deceased creatures and people, making them spread there infectious spores. 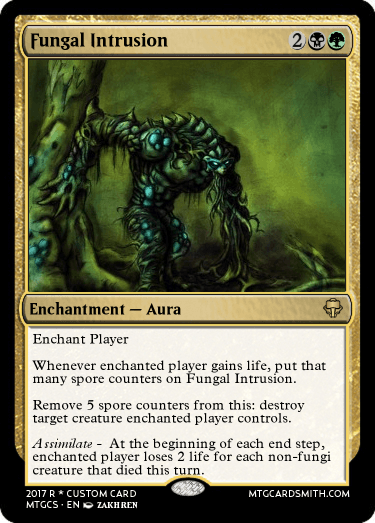 They have a special mechanic, Absorb (Effect depending on the amount of Non-Fungi Creatures that died this turn). 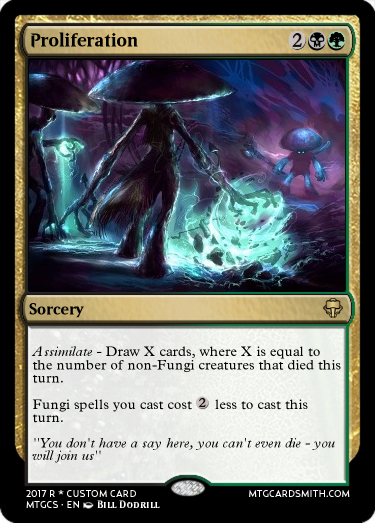 It's your job to make the cards! 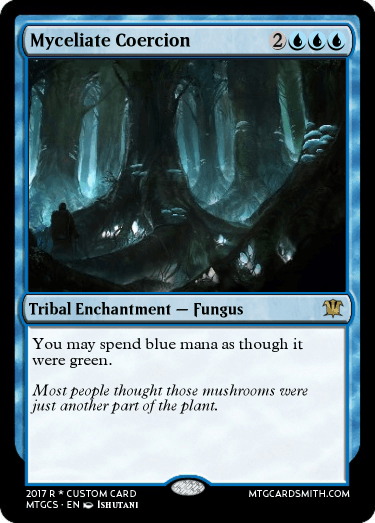 May I post a Fungi card that is popping out of the surface? 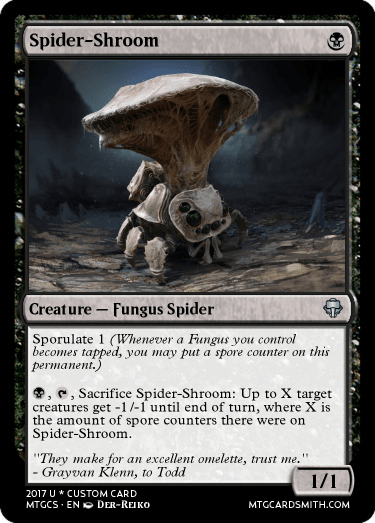 Also, absorb is already a mechanic! 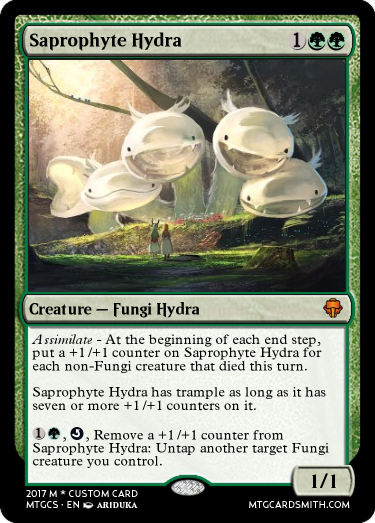 If someone wants to make a Fungus Hydra, they can make one before us if they desire. Here's the artwork we found. 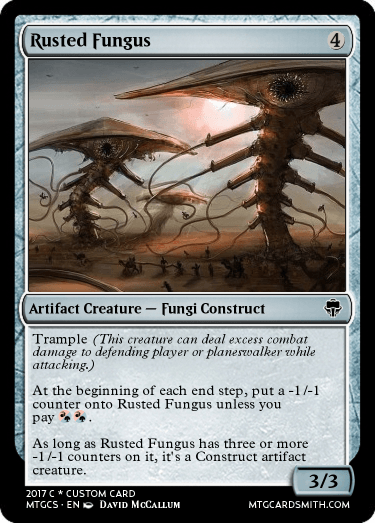 What do you think the mechanic should be called? I would call it Sponge. 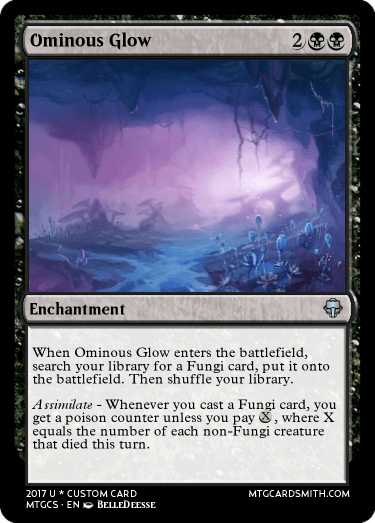 Fungi absorb the nutrients from the dead. They are squishy like sponges and may swell with what they absorb too. 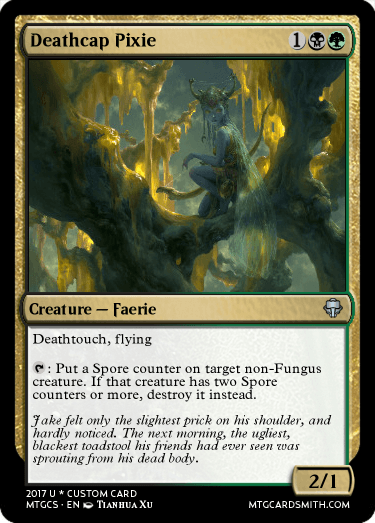 I think Sponge has a lot of fungal flavour. Although, I do agree that works. Sponge is a creature type however so that'd make things confusing. 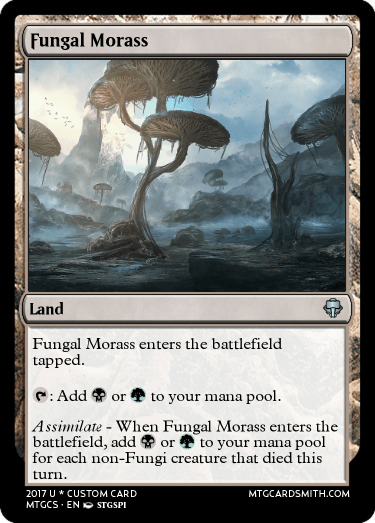 But here is a land that prototypes how I'd imagine the Fungal mechanic could work without it having a name. That is a fundamentally overpowered land. That's true, I do love walking sponge. 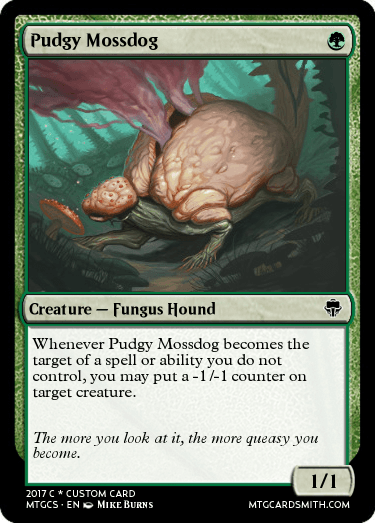 But it's also the only creature with that type, hmm. 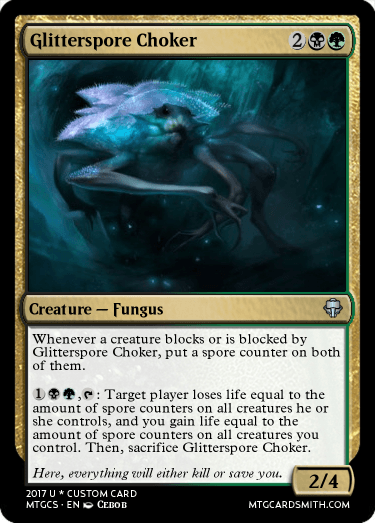 Sponge - For each creature that died this turn, [this creature] gets +1/+1 until end of turn? 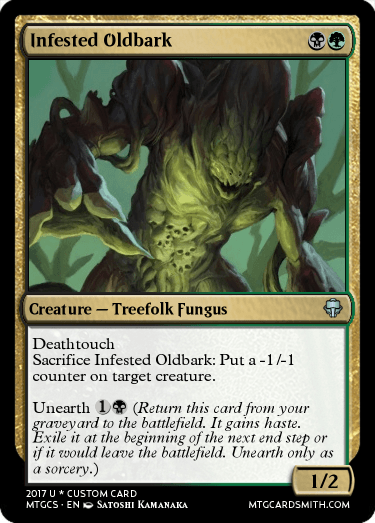 What about no special mechanic? What about something like this ? 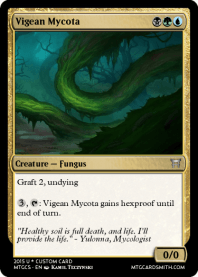 I made a Fungus faction for my set, so I have a lot of Fungus art if anyone needs some. 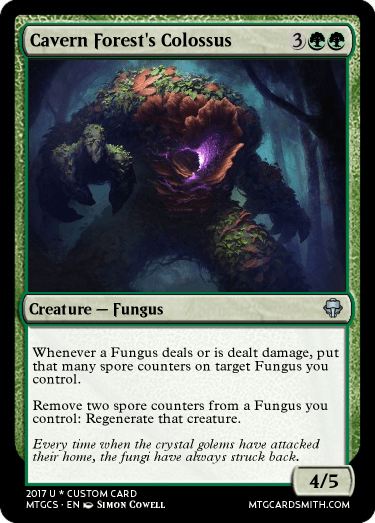 Not a fungus creature itself, but uses their toxic spores to its advantage. @zizick123, only new cards? 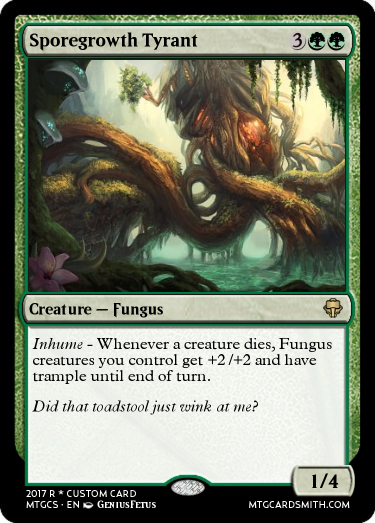 Or are old cards allowed? 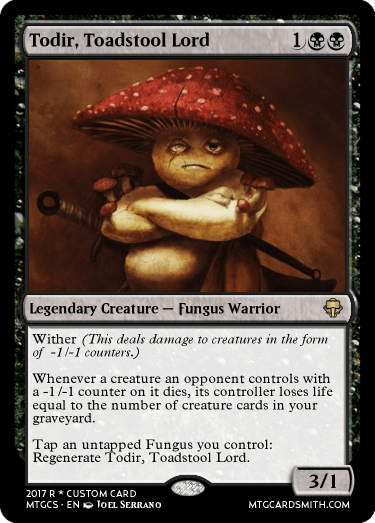 And by the way, @ASubtleGhost, love Deathcap Pixie! 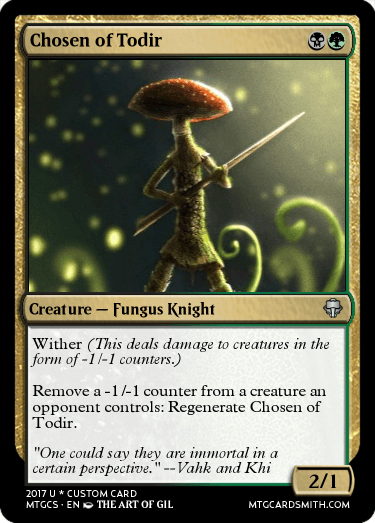 The artwork especially is fantastic. @MagicChess Thank you ! And you are right, this artist has put up excellent work, I really like his graphic style. @MrRansom Old cards are allowed.